Quickly say, O mathematician, which number when divided by the numbers starting with 2 and ending in 6 (i.e 2:6) leaves 1 as the remainder, and is exactly divisible by 7? Let us consider as an example the following equation . From and we can generate the below matrix which is the result of the kuṭṭaka procedure. We have written a function ‘kuṭṭaka’ in the R language that computes this matrix and few other details given . The process is initiated with column . Write and . 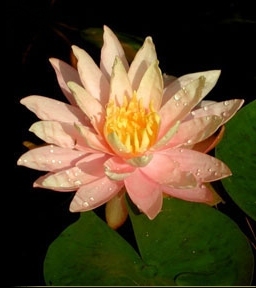 Kuṭṭaka in Sanskrit means ‘to powder’, common translated as ‘pulverizer’. We start ‘pulverizing’ with , which means finding the . Then . We iterate this procedure until we get ; that completes the column . We call as the number of iterations for convergence. Thus, the matrix will have rows and 4 columns. The quotient of the division of is written as , that of as , so on till convergence. Thus, the cells and will always be empty (NA in the R language). 1) The greatest common divisor . This is also the smallest positive for which our indeterminate equation has integer solutions. 4) If we enforce the need for positive solutions then we can use to obtain the minimal integer solution: . Thus, will pass through the integer lattice at the point in the first quadrant. Thus, if we set , we get as further lattice points through which the line passes. From this we can compose . Thus, our number is , which is divisible by 7 but leaves a remainder of 1 for all integers from 2:6. More generally, if we say that then we can use to compose the negative solutions or . Such triplets of solutions correspond to symmetric lattice points along the line. In the final part of this note we shall consider the following operation: Take a number and perform the kuṭṭaka operation with it (i.e. ) and all integers lesser than or equal to it (i.e. ). Then we count the number of iterations it takes with each of these integers to reach convergence. From above it is clear that the minimum number of iterations for convergence will always be 3. 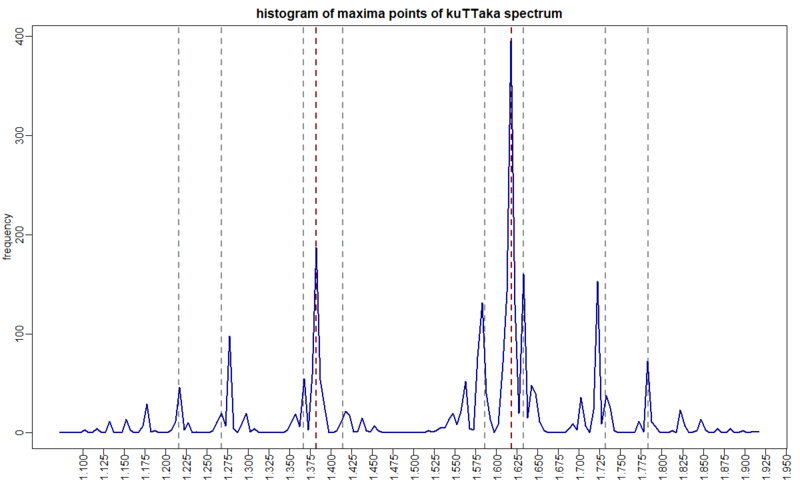 We term the result the kuṭṭaka spectrum of a number and plot this spectrum for the numbers 120, 123, 127 and 128. 1) It is pseudo-symmetric about the mid-point, i.e. either side of is an approximate mirror image of the other side but they differ in “height” by one iteration. 2) The number of times the kuṭṭaka spectrum hits a minimum (i.e. converges in 3 iterations) is equal to the number of divisors of , . Thus, for a highly composite number, as defined by Ramanujan, we get the record number of minima in the kuṭṭaka spectrum for any number less than it. Thus, in our example the highly composite number has 16 minima with the first six integers 1:6 giving a run of 6 successive minima. A minimally composite number like in our figure we get 4 minima, namely 1 and the number itself and its two prime factors. The prime number in our figure, , as expected has only 2 minima. 3) The more composite a number the lower its mean value of iterations (red line in Figure 1) than other integers in its immediate neighborhood. Thus, the highly composite number 120 has the lowest mean value in our set. In contrast, the primes have higher mean values than the integers in their immediate neighborhood. This is can be seen with in Figure 1. 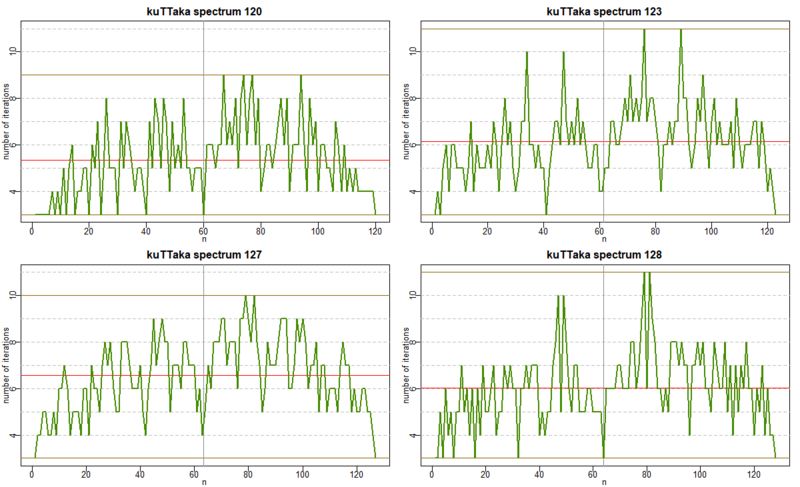 4) A curious feature of the spectrum are the maxima, i.e. the value of for which the maximum number of iterations are required for pulverizing to convergence. For example the spectrum of shows 2 maxima: pulverizes it via the pathway: 128, 79, 49, 30, 19, 11, 8, 3, 2, 1, 0. The other one via 128, 81, 47, 34, 13, 8, 5, 3, 2, 1, 0. One immediately notices that the convergence in each of these two cases enters the Golden ratio convergent sequence. This feature can be investigated further by examining the distribution of the values of for those which result in maxima in the kuṭṭaka spectrum for a given . In order to have have clear discrimination of these fractional values of corresponding to the spectral maxima we chose a set of relatively large , namely all integers from 500 to 1000. We then determined the kuṭṭaka spectrum for each of those numbers and extracted the maxima for each and plotted a distribution of the values (Figure 2). First, the maxima always occur in second half of the spectrum (Figure 2), i.e. . This makes sense because smaller would reach close to in the first division itself and could pulverize it to a relative small number. However, would fit only once in and could leave a relatively large remainder that could need more steps for pulverizing. Second, strikingly, the dominant peak in this distribution is the Golden ratio (Figure 2), suggesting the maxima tend to occur where . Indeed in our above example . This can be intuitively understood as the which generates a maximum may be seen as a Golden cut of : if is too big then the remainder generated will be small and might be pulverized quickly. If is too small then it will leave a big remainder relative to which might be quickly pulverized in the next step. Thus, the could give you the cut that is just right. The next dominant peak is at . This is similar to in its operation. These two are marked by a red dashed line in Figure 2. Of these the pair , especially the former is not the best fit to the peak but given the breadth of that peak it is possible that more than one attractor fraction is merged in that peak. It would be a good mathematical quest to discover the general expression for the peaks, their dominance and prove why they tend to be peaks. There might be a subtle fractal structure to them that might become apparent at large values of . This entry was posted in Heathen thought, Scientific ramblings and tagged AryabhaTa, Golden Ratio, Hindu mathematics, kuTTaka, mathematics, prime numbers. Bookmark the permalink.